The Board of Directors of Acknowledge Alliance is pleased to announce the appointment of Sharon Navarro as the organization’s new Executive Director, effective March 1st 2019. Since 2016, Sharon has served as Director of Development for our agency. The Agency’s current Executive Director, Susan Williams-Clark, is stepping down after almost 7 years in the role and returning to her hometown of Boulder Colorado. We are forever grateful to Susan for her deep contributions to Acknowledge Alliance, and for the many strong and vital connections she has built to further the agency’s mission. Sharon brings to Acknowledge Alliance a unique background combining more than 15 years of management experience in the nonprofit and private sectors and over a decade in philanthropy. She has a stellar track record as a strategic thinker, team builder and innovative leader in highly challenging situations. Most importantly, Sharon has demonstrated her passion and commitment to Acknowledge Alliance as our Director of Development over the past two years that is essential to our future success. 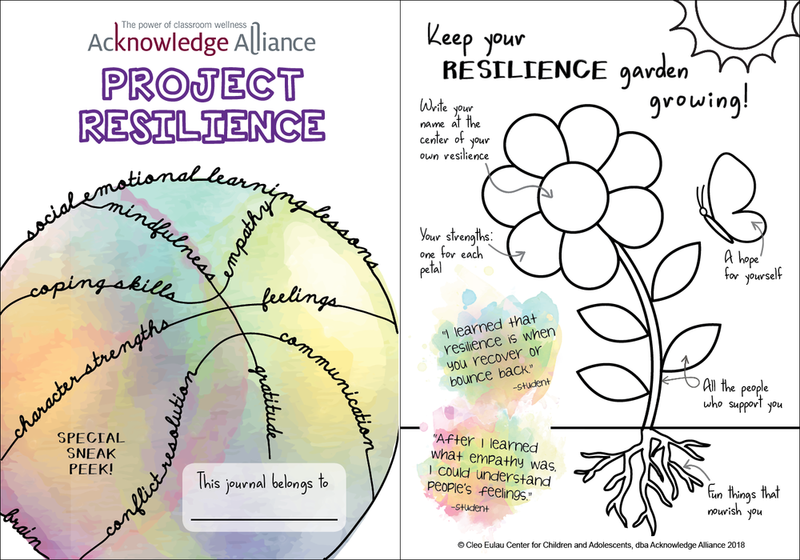 Acknowledge Alliance, now in its 25th year, is a leader in providing a continuum of services that support lifelong resilience, social-emotional wellness and academic success for administrators, educators and students at K-12 schools. We are committed to strengthening the caring capacity of the adults who influence the lives of children and youth. As the agency’s new Executive Director, Sharon’s focus will be to expand the agency’s transformational impact by continuing to engage a broader swath of the education community. Sharon’s first day as Acknowledge Alliance Executive Director is March 1st. The Board felt that some overlap with Susan prior to her departure will facilitate a sense of continuity for staff, clients, and funders. We hope that each of you will get the opportunity to meet with Sharon soon and encourage you to contact her at sharon@acknowledgealliance.org or 650-314-0181 should you wish to reach out to her personally. The Board is confident that Sharon will lead Acknowledge Alliance to the next levels of growth and success, and we look forward to your continued partnership and support in these pursuits. We couldn’t let Valentine’s Day pass without letting you know that we value you as our supporter and that we love all that you’re doing for our community. We hope that you continue to celebrate love and share joy throughout the weekend and consider a new tradition this Sunday, February 17, which is National Random Acts Of Kindness Day. Random acts of kindness can improve our well-being, increase our sense of happiness, and reduce stress. Researchers have studied kindness and their studies indicate that helping others is beneficial to our own mental health. Kindness cultivates a mindset that puts compassion for others before our own interests. Kindness promotes gratitude and empathy. It helps us feel connected with others, which strengthens a sense of community and belonging. In our Project Resilience social emotional learning curriculum, we explain to students that a random act of kindness is a selfless act performed by a kind person to help a random stranger feel happier or better. We encourage students to perform a random act of kindness in their own time. They have an opportunity to share their experience with the class and reflect on their feelings in their journals. Teaching our youth kindness is important because not only does it help them feel good about themselves, they also help others feel good about themselves. Through these shared connections, they gain compassion and learn empathy, which contributes to a positive school culture for all. Smile and give a compliment to a stranger. Hold doors open for others. Let someone cut in front of you in line. Give up a good parking spot. Lend out your umbrella when it’s pouring outside. Help someone struggling with heavy bags. Pay for someone’s morning coffee. Send dessert to a fellow diner. Give someone a handwritten appreciation note. Leave a positive sticky note somewhere in the community. One act of kindness can inspire a ripple effect of positive events, and even the simplest things can make a difference. Cheers to a celebration of love, joy and kindness! Teachers from Beechwood School shared some of their “Pearls of Wisdom,” from what they learned after their meaningful group activity. As an Acknowledge Alliance Resilience Consultant at Beechwood, I work closely with the principal on understanding and supporting the school’s needs. Each year, I lead a professional development session for school staff before the school year begins that focuses on a select few social emotional and resilience themes. In the 2018 school year, the focus was around establishing and practicing keys to cultivating and maintaining social and emotional well-being. The four keys to well-being that we identified and focused on were Resilience, Outlook, Attention, and Generosity. These keys, developed by Dr. Richard Davidson (neuroscientist and founder of the Center for Healthy Minds at the University of Wisconsin-Madison), are rooted in neural circuits and can be strengthened to promote higher levels of wellbeing. They have tremendous impact for educators and all staff at schools, as their wellbeing sets the tone for student wellbeing. In our first professional development session, I led an activity called New Uses for Ordinary Objects, as a way to begin experiencing the idea of how easy it is to label a student or class in a negative and fixed manner. Six groups were given an ordinary item (such as tissue, a notepad, or a glue stick) and were encouraged to consider both the objects’ purpose and how it might also represent an aspect of their work with students. For example, a glue stick could represent a way to glue things together. A participant may then think that seeing this glue stick on their desk during the day will remind them that they can, as a teacher, help students feel “held together” in the classroom. It’s not “just a glue stick” - this activity helped teachers and staff stretch their understanding or definition of each object beyond its ordinary use. Teachers and school staff practiced the skill of reframing and incorporating alternative perspectives while also learning to balance stress, negativity bias, and personal/professional resilience. We honed in on being able to cultivate a mindset that includes both recognizing and working with challenges that arise, while also maintaining, highlighting, and engaging with students from a strengths-based perspective. The idea of “We are all commas” arose. Seeing students as a “period” at the end of a sentence and being fixated on negative labels can lead to the conclusion “that this is all that they are and they can’t/won’t change.” But, by seeing a “comma” instead, teachers enthusiastically identified that change is possible with support and relationship with others. By calling out that everyone is a comma, teachers and staff also identified the need for avoiding negative labels for themselves and each other. We combined these with the initial Pearls of Wisdom mandala, already exhibited in the staff room, and added to it during the course of the school year. By strengthening Resilience, Outlook, Attention, and Generosity, teachers and staff were able to understand how their positive mindset and small actions can add up to supporting students in meaningful, profound, and yet ordinary ways. Making visible the countless tiny actions helped set a good model for students, too. Even today, the group activity from last year remains on display, serving as a reminder that everyone on campus continues to have a “hand” in this process! On Giving Tuesday, we'd like to give YOU our sincerest thanks and gratitude. Your support has made a tremendous life-changing difference for thousands of educators and students in our community. Columbia Middle School is a shining example of how your generosity has helped create caring school communities. Principal of Columbia Middle School, Mary Beth Allmann, recently shared how our services have positively changed their whole school over the last 7 years. Before receiving services from Acknowledge Alliance, Columbia Middle School was ranked in the bottom 10% of schools in California. According to Mary Beth, “We didn’t know how to define the problem. We tried different things…there was still a missing piece to that puzzle that was around social emotional learning.” In a survey sent to students, one of the questions asked: How many of you feel like you have caring adults on campus? The result was a disappointing 30%. "It proved that there was some disconnect there that we weren't understanding and that we needed help." Soon after, Acknowledge Alliance was asked to deliver professional development for educators on campus. Teachers began to receive one-to-one resilience consultations from our staff. Through our social emotional learning curriculum, students and teachers learned and practiced essential resilience skills. Today, Columbia Middle School is recognized as a California Distinguished School. The school culture is different and has changed for the better. In the school’s most recent student survey, a whopping 94% of students reported that they had caring adults on campus! Watch the clip below to hear the full transformational story from Mary Beth. In partnership with MidPen Media Center, Acknowledge Alliance is proud to announce our new television series, Resilience from the Heart. In our pilot episode, we discussed the importance and impacts of Social Emotional Learning (SEL) in the classroom. Our Resilience Program Manager, Tracy Lyons, gave an overview of how SEL classroom lessons are implemented. We invited a panel of educators to share their experience and benefits of SEL: Kennedy Middle School principal Steve Hamm; Barron Park Elementary School teacher Sylvia Sanders; and Columbia Middle School teacher Emily Moorehead. The panel was moderated by host Jenée Littrell, Associate Superintendent from the San Mateo County Office of Education. In this episode, you'll also be able to see a social emotional learning lesson that features the Museum Walk of Feelings! Acknowledge Alliance Resilience Consultant, Chris Chiochios, facilitated a lesson about feelings for 5th grade students at Beechwood School as part of our original "Project Resilience" curriculum. In addition to a mindfulness and gratitude practice, students participated in an activity to help them identify when they feel certain emotions: I feel happy when ___, I feel sad when ___, I feel angry ___, I feel worried when ___. Through this shared group experience and process, students learned about empathy too. Our Resilience Program Director, Sarah Kremer, says, "We want to ensure young people understand their own emotions, understand the emotions of others, and know how to work well with other people." We are grateful to have been selected to be part of the MidPen Media Center On-Ramp program. The On-Ramp program helps non-profit, government and educational organizations launch new shows, series or screenings. Through collaboration, non-profits receive production support, and the Media Center broadens its community reach and impact. You may also view the full episode below on our YouTube channel anytime you'd like! We look forward to the education conference we are co-hosting on September 28: How Educators Can Create Trauma-Informed Systems in School Communities, where we will address this critical issue, share concrete strategies to strengthen protective factors against toxic stress experienced by many students and, thereby, improve the learning environment for all students. On average, every classroom has at least one student affected by trauma. According to the National Child Traumatic Stress Network, nearly 40% of students in the U.S. have been exposed to some form of traumatic stressor in their lives. Traumatic events – like sexual or physical abuse, domestic or community violence, death of a loved one – often cause children to have upsetting, overwhelming feelings that can negatively impact their daily life, development, ability to function and ability to recover. These experiences can lead to continuous states of grief, loss, abandonment, neglect, as well as persistent anxiety, fear, and depression. For some students, school is the only place where they know they are safe and can form healthy relationships. However, students affected by trauma oftentimes have difficulty engaging at school, as they struggle to learn and connect with others. Their behaviors may come off as being defiant, demanding and disengaged. Trauma-informed education shifts the question from “What is wrong with this student?” to “What has this student been through?” and “What does this student need to reach their potential?” When students are dealing with harmful relationships at home, educators and counselors may be the only people who help these students learn what a trusting, supportive relationship feels like. School personnel have a central role in children’s lives and they are uniquely situated to identify, respond to, and be impacted by students’ traumatic stress symptoms. Acknowledge Alliance helps schools improve upon or expand their trauma-informed approach by working with both students and educators. It’s crucial to train educators on the trauma that students walk in with, so that they can support their students in the classroom with empathy and be aware of their challenges in terms of learning. Our team of mental health professionals also provides ongoing training and support to our counseling therapist interns, who in turn help students who are deeply traumatized. Many of the high school students we serve have been victims of violence and extreme physical trauma. Furthermore, it’s essential to support school personnel in not only dealing with students’ trauma, but sometimes, also their own. The core of our work at Acknowledge Alliance centers on building resilience: the ability to adapt well to adversity, trauma, tragedy or even significant sources of stress. Being resilient does not mean that trauma has been erased and that further difficult situations won’t arise. But, by using resilience strategies, students and educators can gain better understanding of their situation, focus more on the positive, self-soothe in moments of distress, set healthy boundaries, let go of anger through compassion, develop a positive support system, and overcome tough times with grit and gratitude. Does teacher stress affect students? The answer is yes. A recent study by the Robert Wood Johnson Foundation and the Pennsylvania State University found that “when teachers are highly stressed, children show lower levels of both social adjustment and academic performance.” High levels of stress negatively affect teacher wellness, causing burnout, lack of engagement, job dissatisfaction, poor performance and high turnover rates. These factors hinder teaching and learning, lower student-achievement and increase financial costs for schools. There is a crucial need to support teacher wellness, effectiveness and retention in order to help our youth achieve the most positive outcomes in school and life. Teachers, whom spend the most time with youth aside from family, have the greatest capacity to positively shape a child’s future. However, 46% of teachers say they feel high daily stress. Often, teachers are overwhelmed by multiple demands and the pressure of achieving academic goals, while struggling to address each student’s unique needs and emotional barriers. For example, when children are worried about their parents’ divorce, those emotions follow them into the classroom and make it hard to focus on schoolwork. The social emotional health of both educators and students is paramount in our work at Acknowledge Alliance. Each of our services – educator coaching, teacher/leadership groups, social emotional learning lessons and counseling – all focus on strengthening resilience, social competencies, emotional regulation, empathy and meaningful relationships. By building skills and coping strategies into the everyday interactions between educators and students, school becomes a happier, healthier and productive place to be. Through our ongoing support, teachers learn how to better manage stress, engage students and handle challenges without calling it quits. In turn, students feel more connected to school and become more motivated to succeed. On Giving Tuesday, we'd like to give our heartfelt thanks to YOU for supporting our work with educators and students! Watch the clip below to hear directly from one of the educators we've worked with for several years. At our Appreciation Party earlier this month, Principal Anita Lee shared how our services have directly impacted her profession. As a teacher, she was on the verge of leaving education due to burnout, but her career took a turn when she participated in one of our Resilience Groups and saw the value of it. She is now the Principal of Cherry Chase Elementary School. One of Acknowledge Alliance's focus areas is supporting adults in education to better support students in classrooms. Whereas the purpose of Resilience Groups is to build the resilience of teachers through small group conversations, the Principal Leadership Group is specialized for principals and administrators. Groups are an opportunity for educators to build meaningful relationships with other educators, feel listened to, learn effective strategies for dealing with stress, and share strategies for better communication across the school community. Learn more about our other services here. Acknowledge Alliance is proud to share Ricardo’s success story, as told by one of our Transition Program Therapists. Ricardo was referred by Sequoia High School District to get support through our Transition Program after transferring from an expulsion school to District High School. In this program, we offer weekly therapy sessions for students transferring or returning to comprehensive high schools from the smaller settings of the County Court and Community Schools, expulsion schools and Juvenile Hall. This was Ricardo’s second year attending school in the United States after emigrating from Mexico two years ago. His family made the decision to send him to live with his family in the US because he was deeply involved in a gang in Mexico, which meant that his life was in imminent danger. From our first session, it was clear that Ricardo was overwhelmed. He struggled to adjust to the new school’s academic expectations, student volume, and social and economic diversity. His relationship with his mother was unstable as well, and he was greatly missing his maternal grandmother, with whom he grew up. Ricardo and I met weekly, sometimes twice weekly, during school days. He showed up to every meeting with no exception, sometimes asking to meet again, during more strenuous times. He became comfortable expressing his emotions, whether it was sadness, joy, or anger. When he tried to make sense of certain situations and/or relationships, he often referred to previous conversations we had. We are pleased to share highlights of the comprehensive evaluation of our programs during the 2016-2017 school year. • 94% of educators working with Acknowledge staff reported an increased awareness of student social and emotional issues. 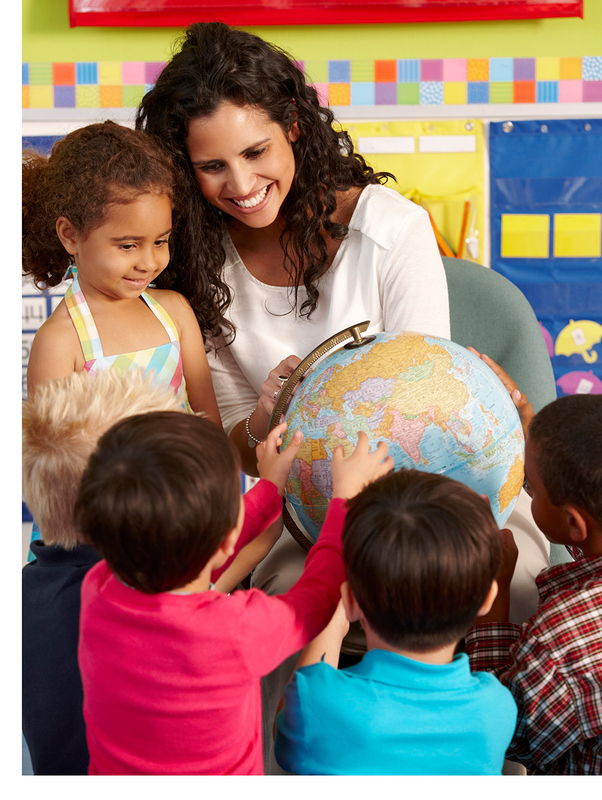 • 93% of educators reported using at least one strength-based strategy - such as talking supportively to students who are struggling, communicating high expectations to students and focusing on positive things students do rather than negative things - at least monthly to engage and reach their students. • 90% of educators reported an increase in positive educator/student relationships. • When asked which Social Emotional Learning topics were most useful, the top two categories that students reported were friendship and mindfulness, followed by problem solving and character strengths. "I am already empathetic and understanding of the lives of the students, but it is very easy to fall into a negative mindset about why students are behaving in certain ways and why they aren't doing what we are expecting. Making a conscious effort to view our students through an empathetic and understanding lens has made a huge difference to my teaching." • 95% of Court and Community School students reported that their counselor listened to them without judgment and was someone they could trust. • 93% of Transition students reported that counseling helped them to express their emotions constructively. • 93% of Transition students were enrolled in school and working towards high school graduation. • 100% of therapist interns we trained reported an increased understanding of the high-risk, multi-cultural adolescent population they worked with. Suicide is the second leading cause of death in the United States for persons aged 10-24. In 2009, our Social Emotional Learning lessons were piloted as a response to the youth suicide clusters in Palo Alto. Concerned teachers and parents wanted to know what could be done in elementary school to strengthen student resilience, so that youth can better navigate their teen years. In the past 2 years, we’ve been offering teacher resilience groups at the high school level too. Recently, Acknowledge Alliance was a key contributor to the K-12 Toolkit for Mental Health Promotion and Suicide Prevention, which is being promoted across the state. The State of California enacted into law the “Pupil Suicide Prevention Policies” requirement, AB2246. All California Local Education Agencies (LEAs) must have this policy in place by the beginning of the 2017-2018 school year. The Toolkit is included in the Model Policy as a resource for implementing this policy. The Toolkit contains information about what schools can do to promote youth mental wellness before mental health concerns arise, how to recognize and respond to a mental health crisis, and how to support a school community after a suicide loss. The Toolkit also supports a school’s primary goal to educate youth because mental wellness is essential to the ability to learn. A safe and caring school climate includes feeling safe at school, feeling part of decision--­making, and having a sense of school connectedness, which “is the belief by students that adults and peers in the school care about their learning as well as about them as individuals”( CDC, 2009b, SAMHSA Toolkit, p. 12). Suicidal behavior can be reduced as a sense of school connectedness is increased. Combining suicide prevention with efforts to increase connectedness furthers both goals. Part of mental health promotion and suicide prevention in youth lies in the development of students’ social and emotional wellness. (Note: “wellness” refers to overall emotional well-being for the purposes of this document.) Two evidence based strategies, Social Emotional Learning (SEL) and Mindfulness, share similar goals and outcomes for the emotional, social, and academic development of youth. Both enhance youth academic achievement and wellness, decrease risky behaviors, and improve relationships with peers and teachers. Each uses a different approach to achieve these outcomes (Lantieri, Zakrzewski, 2015). The SEL framework promotes intra-personal, interpersonal and cognitive competencies. Mindfulness, paying attention in a systematic way, deepens the internal ability to apply the skills learned through SEL. These strategies complement each other. SEL develops skills and Mindfulness enhances the ability to apply those skills such that a student can better understand themselves and others, develop meaningful relationships, and make constructive decisions. This is why all our Acknowledge Alliance services around social emotional learning and resilience are so important. We intentionally support and work with everyone in school communities – students, teachers, principals, families and mental health counselors – to create positive learning environments that further personal growth, connectedness, happiness, success and hopeful futures. On May 11, 2017, the Wright Institute presented a prestigious award - an honorary Doctorate of Philosophy Degree – to Judith Gable, our longtime Acknowledge Alliance Collaborative Counseling Program Director. We’d like to congratulate Judith and recognize her for the life-changing work she continues to do every day. For the past 22 years, Acknowledge Alliance and the Wright Institute have built a solid working partnership and internship program. 9-12 students from the Wright Institute Doctor of Psychology program are selected annually to join our team as counseling interns. They work on school sites and deliver direct counseling services to traumatized and underserved youth. We support our interns with regular clinical supervision and clinical training focused on the best practices for working with this specific population. The intensive training of our Wright Institute doctoral interns is crucial. The students they serve show signs of depression, academic failure, and aggression as a result of the trauma they experience at a young age (along with other factors out of their control). The deeply rooted issues that they face are oftentimes related to their sense of hopelessness and anger at the adults who fail to meet their basic needs for consistent care, safety, and attachment. Through consistently providing students with meaningful and quality therapeutic relationships in a nonjudgmental safe space, they improve their school engagement; find compassion for themselves and each other; and experience renewed hope and a glimpse of a future with new possibilities. Under Judith’s dedicated and outstanding leadership throughout our 22-year partnership, the Collaborative Counseling Program has overseen 186 Wright Institute interns – many of whom are successful and recognized psychologists today. In one of her passages, she wrote, “These kids need adults who can meet them where they are, honor their open wounds, and consistently shine a light on the beauty and innocence that lies beneath their protective armor.” Judith, thank you for living up to that example – you have truly inspired and shaped many lives throughout your decades of heart-centered work. We can't help but smile when we remember all the acts of kindness, inspiring moments and heartwarming stories that were shared amongst us at our 10th Forget-Me-Not. This has been our best year yet. We had the highest attendance and reached a new milestone in our fundraising efforts. Thank you to everyone who took a part in this event - we appreciate your support, your generosity, and your life-changing impact. Mr. Steve Hamm has been an educator for the past 23 years. He taught English for 15 years at Union Middle School prior to moving into administration. He began his principal tenure at Piedmont Middle School and is currently the Principal at Kennedy Middle School in Cupertino. Mr. Hamm strongly believes in work/life balance - for staff, teachers and students alike. As an instructional leader, Mr. Hamm strives to bring social-emotional curricula into the classroom and as professional development for his staff. He believes that happy people are productive people and his job is to make them happy. Aside from Rob’s mother, Agnes Felicano, his classroom teachers were his best role models of successful and responsible individuals. In fact, his teachers were some of the most positive influences on his life in ways they may never know. His passion for studying History, for example, began as a 6th grade student. His teacher, Mrs. Loree Nichols, inspired his love of Ancient Civilizations, and led him to becoming a 6th grade teacher himself. Many of his favorite teachers were alumni from California State University, Chico. With that in mind, he chose to enroll at Chico State to once again follow in their footsteps. Chico was a wonderful chapter in his life – it was the institution where he earned not only a B.A. 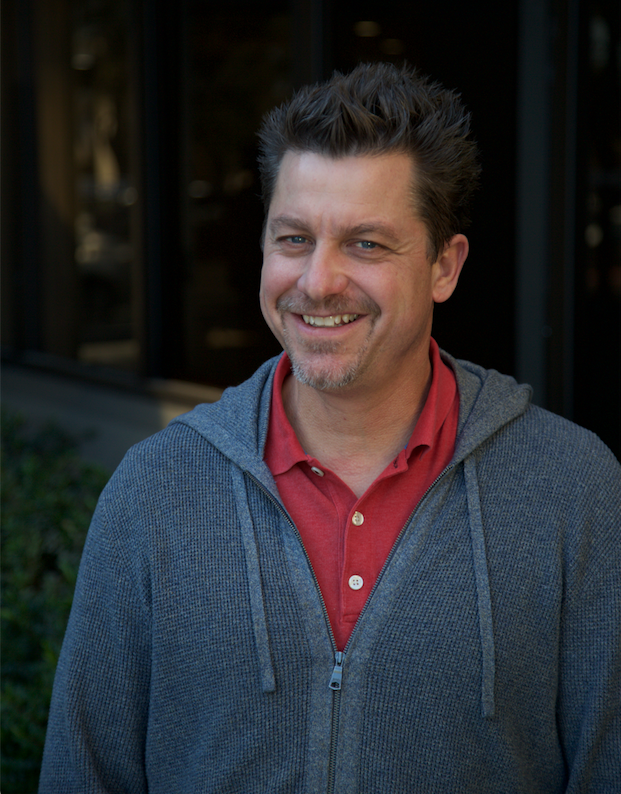 in Liberal Studies, but also his teaching credential, and M.A. in Education in Curriculum and Instruction. After graduation, he was thrilled to begin teaching Humanities as a 6th grade teacher in Los Angeles. Since 2014, he has had the privilege of being part of the 6th grade faculty at Columbia Middle School in Sunnyvale, California. Although his primary curriculum is History and Literature, he makes social emotional learning a priority in his classroom. His goal is not only to make learning engaging, but also to hopefully help develop resilient, reflective and confident young people. He is grateful for the amazing mentors he’s had as a young learner. He tries to show the same encouragement for the students he has the opportunity to teach in his classroom each year. their achievements and dedication to our youth at Forget-Me-Not! Each of us has signature strengths – things we like doing and are good at. Discovering our signature strengths and using them in new ways can make us happier and healthier. Channeling our strengths can also help us achieve our goals and boost our feelings of competence. The VIA Classification of Character Strengths is comprised of 24 universal character strengths that fall under six broad virtue categories: wisdom, courage, humanity, justice, temperance and transcendence. Signature strengths refer to those character strengths that are most essential to who we are. This month, Acknowledge Alliance helped teachers tap into their signature strengths. During a Professional Development session at Columbia Middle School, teachers were first asked to individually identify their top strength. They assembled a glass pebble art piece using their chosen strength icon. It was empowering for teachers to make their strength visible – when finished, they literally held their strength in the palm of their hand. Afterwards, they were asked to find others in the room with the same strength. As groups got together and shared their experiences, the whole room acknowledged each other’s strength in understanding, support and appreciation. Connecting with your own strengths may help strengthen your connection with others too. Try a new cuisine and eat food of a different culture. Do at least one outdoor activity weekly such as hiking, biking, brisk walking, or jogging. Think of a time when you or someone close to you overcame a challenging obstacle and succeeded. Count three things you're grateful for before going to bed every day. Let someone know a strength you saw them use and how much you value it. Words of affirmation is a powerful love language. What are your signature strengths? Get to know yourself better by taking the VIA Survey. Hello, I am thrilled to be part of the Acknowledge Alliance family! I have a strong passion for our mission to promote the lifelong resilience in children and youth by strengthening the caring capacity of the adults who influence their lives. This passion has guided my career. Having worked in the nonprofit sector in San Mateo and Santa Clara County for the past seven years, I appreciate both the challenges and opportunities our region offers to reach our community with necessary and vital programs. I am deeply committed to the children, educators and families whose lives we touch and honored to work alongside our community partners. In my short time with Acknowledge Alliance, I have been moved by the dedication and commitment of our staff and Board and by the generosity of our supporters. What an amazing and talented team! I look forward to meeting and talking with many of you over the coming months and am excited to promote the legacy and programs of this wonderful community asset. Please feel free to contact me at Sharon@acknowledgealliance.org - I’d love to hear from you!